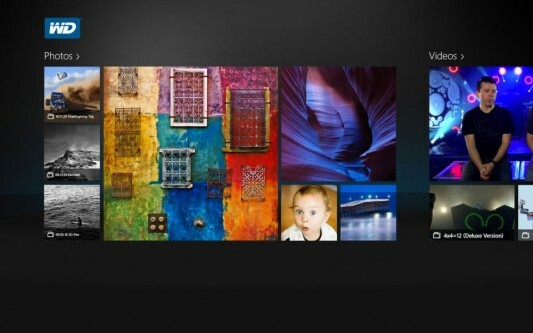 Western Digital announced a Windows 8 App on the App store today. The new WD App provides easy access and sharing of videos, photos and music for Windows 8 Devices. The WD app gets automatically installed for all WD devices or can be installed via the Windows Store. For more information read the press release below. Mumbai, India. – Nov. 29, 2012 – WD®, a Western Digital (NASDAQ:WDC) company, and a world leader in external storage and solutions for today’s connected life, announced today comprehensive support for new storage features in Windows 8 and an app for the new Windows user interface that makes it easy to discover, enjoy and backup digital media and files. The WD app for Windows 8 automatically discovers digital content on connected WD direct attached storage solutions and showcases those photos, videos and music on a live tile on the Start screen. Within the app, customers can easily find and enjoy their digital content as well as share their media via email and social media sites with the Share charm. Windows 8 automatically installs the WD app for certified WD products or it can be downloaded from the Windows Store. Additionally WD products simplify the process of computer backup through support of the new File History feature within Windows 8. File History is a file backup application that makes it easy to schedule automatic backups to any hard drive attached to the computer or on the network, such as WD’s My Passport® and My Book® Live™ products. This simplified process of performing automatic, periodical back up of personal files stored in Libraries, Desktop, Favorites, and Contacts folders ensures peace of mind that important files are backed up. WD drives also fully support the new Windows 8 Storage Spaces feature, which allows customers to make multiple external hard drives appear as a single storage volume. Customers can use Storage Spaces in conjunction with File History to create redundant backups for enhanced security. “From our cool new WD app for Windows 8 and our comprehensive products for easy Windows 8 backup, to our recent addition of SkyDrive cloud storage into our WD 2go mobile app, we are excited about delivering a seamless storage experience across the Windows 8 ecosystem to help customers easily protect and enjoy their precious digital content,” states Scott Vouri, general manager for WD’s connected life solutions group. The WD app for Windows 8 is currently available in the Windows Store. WD products included above are currently available at select distributors, resellers and e-tailers across the country.